Save Time with the NEW 2019 Easy to Use Interactive Copper Silver Ionization (CSI) Quote and Specification System. Quotes, Custom Project Specifications, Technology Shop Drawings, Submittal Documents and more. Please accept our Terms and Conditions agreement to begin the use of the CSI Solution Finder. All Content (as defined below) contained on the website is the property of PWTI, its content suppliers or its licensors as the case may be, and is protected by Canadian and international copyright, trademark, and other applicable laws. “Content” includes any and all material, overall form structures, file delivery logic, information in text, file formats, marketing strategies, graphical, video and audio forms, images, reports, articles, publications, data, databases, charts, graphics, photographs, illustrations, maps, interfaces, web pages, text, files, software, product names, company names, trade-marks, logos and trade names contained on the website. Certain names, words, titles, phrases, logos, icons, graphics or designs in the pages of the website may constitute trade names, registered or unregistered trademarks or service marks (“Trademarks”) of PWTI or of third parties that are used under license. The display of Trademarks on the website does not imply the grant of any license to any other party and, except with the express written consent of PWTI, the use of any Trademarks is prohibited. No reproduction may be made of any forms, web pages or artworks (original artwork or stock footage) from this website, or any other associated websites, for commercial, personal or any other use for any reason without first receiving written permission from PWTI. PWTI hereby grants limited, revocable, non-transferable and non-exclusive license to access, read and download the Content located on the website for personal use only. The website and CSI Solution Finder is made available for lawful, personal use only. You may print pages from the website for your personal, non-commercial use only, provided that you do not modify any of the Content and you do not remove or alter any visible or non-visible identification, marks, notices or disclaimers. Other than as specifically described herein, the website and its Content may not be copied, imitated, reproduced, republished, uploaded, posted, transmitted, modified, indexed, catalogued, merged with other data, mirrored or distributed in any way, in whole or in part, without the express written consent of PWTI. The Content on the website is intended for educational, guidance and informational purposes only. The Content is not intended to provide engineering or medical advice and, to the extent that engineering advice is required, the users should consult with qualified engineer professionals. 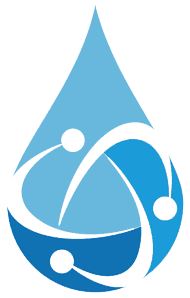 Information in text files, pdf files, Word® files or any other format, interactive tools, messages or articles on this website cannot replace consultations with qualified professionals to meet your individual engineering or water treatment requirements. The Content, including the recommended CSI Solution, is provided without charge on an “as is” basis without any representation, warranty or condition, whether express or implied, statutory or otherwise, as to quality, accuracy, completeness, legality, currency, reliability, efficacy or fitness for a particular purpose. PWTI and its content providers shall have no liability, whether direct, indirect, consequential, contingent, special or incidental, related to or arising from the Content on the website or the use thereof, whether based on breach of contract or tort, including without limitation negligence, infringement of intellectual property rights, strict liability, breach of warranty, failure of essential purpose, fundamental breach or otherwise, even if advised of the possibility thereof. The presence of advertising or a sponsor logo on the website does not constitute a recommendation or endorsement by PWTI, nor is it a guarantee for the quality, value or effectiveness of any products, services or methods advertised by our sponsors. No advertising or sponsorship is intended to substitute for the advice of a qualified medical professional. PWTI maintains editorial independence and operational separation from our corporate sponsors. We encourage other reputable websites to link to the https://csidefender.com in a manner that does not imply endorsement or approval of your website/product/service. Text links can use the anchor text “CSIDefender®” or the headline of the article on csidefender.com that you are linking to, for example “Copper Silver Ionization Solutions.” The link to csidefender.com should open in a new browser window. csidefender.com must not be framed within the originating website. We also request that you link to PWTI content using the csidefender.com URL rather than downloading portions of it to another web server, so that viewers will see the most up-to-date information. Use of any PWTI logos is not permitted without express written consent. PWTI reserves the right at any time and in its sole discretion to request that you remove all links or any particular link to the website. Hyperlinks to a website are allowed only if the website is sponsored, supported, or partnered by the PWTI; is educational in nature; or is a Canadian government website, including those sites sponsored by provincial or local governments. The PWTI will not allow any hyperlinks to any websites that advocate hate, bias, or discrimination. The Terms and Conditions and all matters relating thereto are governed by the laws of the Province of New Brunswick and the federal laws of Canada, excluding any rules of private international law or the conflict of laws which would lead to the application of any other laws. Any dispute between PWTI and you arising from or relating to the website or the Content or the Terms and Conditions shall be resolved before the courts of the Province of New Brunswick sitting in the City of Moncton, and you hereby irrevocably submit to the original and exclusive jurisdiction of those Courts in respect of any such dispute. If any provision of the Terms and Conditions is found to be unlawful, void or for any reason unenforceable, then that provision shall be deemed to be severable from the rest of the Terms and Conditions and shall not affect the validity and enforceability of any remaining provisions. No waiver by either party of any breach of or default of the Terms and Conditions shall be deemed to be a waiver of any preceding or subsequent breach or default. PWTI’s failure to enforce any provision of the Terms and Conditions shall not be construed as a waiver of such provision. The Terms and Conditions, including any changes made from time to time, constitute the entire agreement between you and PWTI relating to your use of the website and supersede all previous Terms and Conditions, written, oral or otherwise, between you and PWTI with respect to your use of the website and the Content. The Terms and Conditions do not vary, alter, modify or otherwise affect any other more specific agreements between you and PWTI regarding other matters. Are you requesting a copper silver ionization quote for an existing or new facility? What kind of quote would you like to receive? If not displayed please chose "Other"
POE: A Point of entry "Zone" is defined as a main potable water line coming into a facility. Based on your answers, you incoming water is below 20°C/68°F and you have a facility with a relatively low risk of water stagnation. As a result, you can focus on a DHW Only type of CSI application. You can chose "DHW" from the Application drop down menu above. Based on your answers, you incoming water is below 20°C/68°F and you have a facility with a relatively low risk of water stagnation. As a result, you can focus on a DHW Only type of application. Based on your answers, you incoming water is either above 20°C/68°F (OR) you have a facility with a relatively higher risk of water stagnation. As a result, you should focus on a Point of Entry (POE) type of CSI Solution. You can chose "POE" from the Application drop down menu above. Where is the project geographical location? Is there any chance of low occupancy that could cause water stagnation in areas of your facility? What is your facility average yearly expected occupancy rate? The lower your occupancy, the higher the risk of water stagnation and the higher the risk of Legionella growth within your facility potable water distribution network. Are any of the multiple DHW zones in a common mechanical room within 30 feet from each other? A separate DHW zone is defined by having it's own hot water maker that does not intermix with another one. Are the 4 DHW zones in one (1), two (2) or three (3) mechanical rooms? Are the 5 DHW zones in one (1), two (2), three (3) or four (4) mechanical rooms? Are the 6 DHW zones in one (1), two (2), three (3) four (4) or five (5) mechanical rooms? Are the 7 DHW zones in one (1), two (2), three (3) four (4), five (5) or six (6) mechanical rooms? Are the 8 DHW zones in one (1), two (2), three (3) four (4), five (5), six (6) or seven (7) mechanical rooms? You have indicated that you have more than six (6) DHW Zones in common mechanical rooms. Please explain in detail your mechanical room configuration(s) in relation to your water zones. Please explain in detail your mechanical room configuration(s) in relation to your Point of Entry (POE) facility potable water zones. Please explain in detail your mechanical room configuration(s) in relation to your Domestic Hot Water (DHW) zones. You have indicated that you have four (4) DHW Zones in two (2) mechanical rooms. How many DHW Zones are in the first mechanical room? You have indicated that you have five (5) DHW Zones in two (2) mechanical rooms. What is the DHW layout for each mechanical room? You have indicated that you have five (5) DHW Zones in three (3) mechanical rooms. What is the DHW layout for each mechanical room? You have indicated that you have six (6) DHW Zones in two (2) mechanical rooms. What is the DHW layout for each mechanical room? You have indicated that you have six (6) DHW Zones in three (3) mechanical rooms. What is the DHW layout for each mechanical room? You have indicated that you have six (6) DHW Zones in four (4) mechanical rooms. What is the DHW layout for each mechanical room? We have the experience and knowledge to help you chose the best CSI solution(s) for your project. Simply chose one of the options from the drop-down menu(s) that best fits your project and we will take it from there. We only require a general idea of your daily water load usage for now. What is your potable water source configuration? Great! We found a Solution for You! All electronic format files sent to you will be formatted in relation to the project data you provided. We now have enough information to propose a Copper Silver Ionization Solution that fits your needs. A "Project Name" is required to identify and keep track of the proposed CSI solution documents that will be provided to you.